UNITED NATIONS, Jun 6 2015 (IPS) - “We should remove the ‘dis’ and focus on ‘abilities,’” Daniela Bas, director of the Division for Social Policy and Development at the U.N. Department of Economic and Social Affairs, said at a media event on the rights of persons with disabilities on Friday. 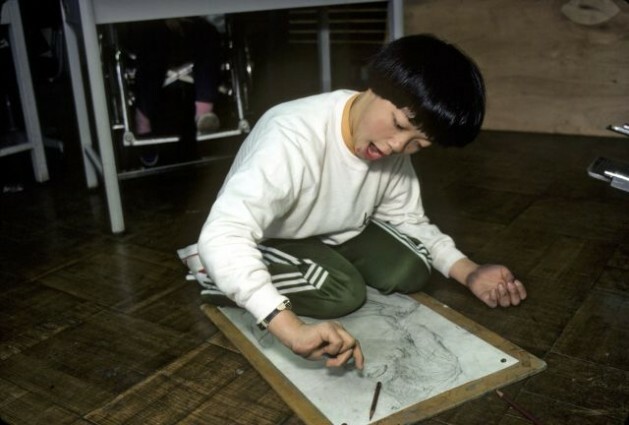 The event, sponsored by the Republic of Korea, took place just a few days ahead of the Eighth Session of the Conference of the States Parties to the Convention on the Rights of Persons with Disabilities (CRPD). The purpose was to raise awareness about the ongoing challenges faced by people with disabilities and to advocate for a broad reflection of their rights in the post-2015 development agenda. Particular emphasis was placed on the empowerment of people with disabilities. “What is disabling is the environment,” said Victor Calise, commissioner of the New York City Mayor’s Office for Persons with Disabilities. He said efforts need to focus on combating stereotypes and prejudices and providing accessible infrastructure including transportation, education, health, housing and employment to ensure people with disabilities could unfold their abilities and no one was left behind. Compared with the conferences on the seven other existing U.N. Human Rights Conventions, the Conference of the States Parties to the CRPD is unique as it not only serves as forum to elect the presidents for the coming two years, but as a growing platform of dialogue bringing together civil society actors, governments and the U.N. to discuss ways on how to overcome exclusion and advance the rights of persons with disabilities. As shown by the large increase in member states attending the conference from 29 to 150 in recent years, attendees said the Conference has gained political weight it can now use as a vital tool for advocacy, thus allocating new resources and enabling change in policy and legislation at the local level.